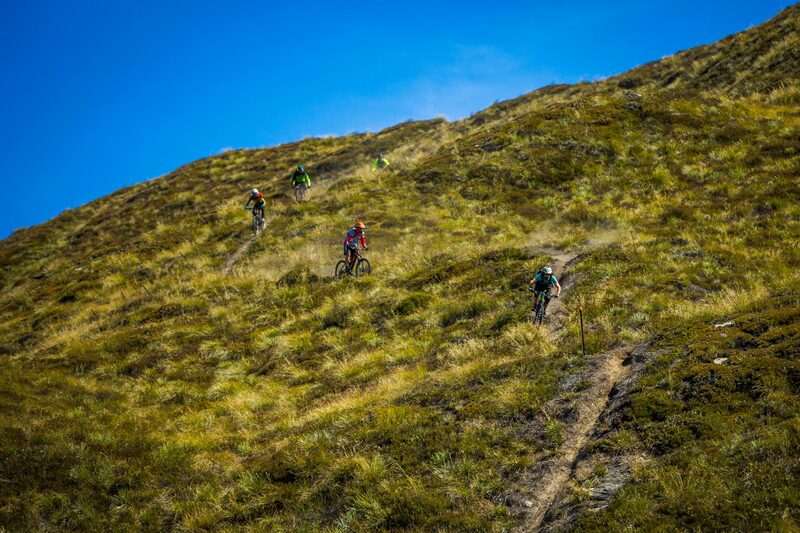 Corotown is an epic steep descent bike trail from Coronet Peak to Arrowtown. Ride up the Coronet XC track to the top of Coronet then ride all the way down to Arrowtown. Enduro at its finest, Corotown has it all – the necessary climb to deter any beginners, steep open chutes to get your blood pumping, a wide single track rut to maximize concentration, fast flowy meadows to chase your mates, a dozen river crossings to get your feet wet, native beech forest keeping it loamy, and the best end of all – beers at the Fork and Tap! Queenstown Bike Taxis can drop off you and your bike at Coronet Peak and/or pick up from Arrowtown, from $30pp one way or talk to us to arrange both.